Since moving to London, I have come to love the random names of pubs across this country. The“Bunch of Carrots”; “Dirty Dicks”; and “The Dog and Duck” all spring to mind. So, when an email came through inviting me to check out a new, quirky pub on St John Street, between Angel and Farringdon, I was immediately taken by the name. 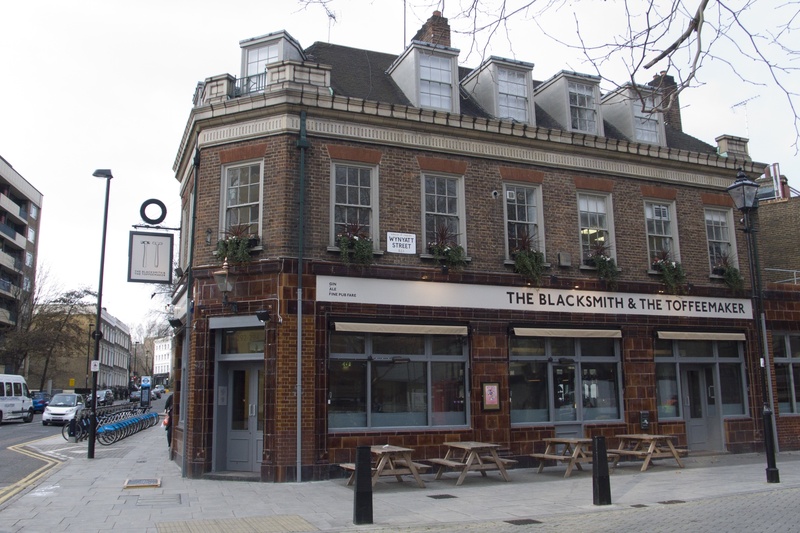 Called The Blacksmith and the Toffeemaker after a song by former British singer-songwriter Jack Thackray, the pub is run by two young chaps – Marc Dalla Riva and Matt Rix. The former, a chef, and the latter, an events guru, love the place so much they even make upstairs their home. While the interior has been redesigned with a Hoxton-ish interior (light colours, modular ’60s furniture, quirky vintage feel) the space manages to avoid being trendy and pretentious by feeling comfortable and laid-back. The aim is to create a place that gets back to the roots of what makes a great pub: good food, good drinks and good people. The pair are focused on providing a roster of impeccable British gins (things like Hayman’s Old Tom Gin, Sipsmith and Sacred Gin) and a selection of high quality whiskies, such as The Balvenie, Laphroaig, Macallan and Auchentoshan, at some of the most reasonable prices I’ve seen in London. The pub also offers up real ales and is hoping to do more with British wine. It helps that both Marc and Matt are almost jumpy with a childlike enthusiasm for their new space, despite the long hours that go into running the place each week. They came up with the idea for the venture whilst travelling in the States. It developed over many pints and Marc says they couldn’t be happier with the way things are going. He also says their plan had always been to avoid being a “gastro pub” by focusing on high-quality drinks with food accompaniments. “The food was always designed to complement the drinks, rather than the other way around,” he adds. This was partly because he didn’t want to be stuck in a kitchen 18 hours a day – like many chefs find themselves – but also because he wanted to do something a bit different. 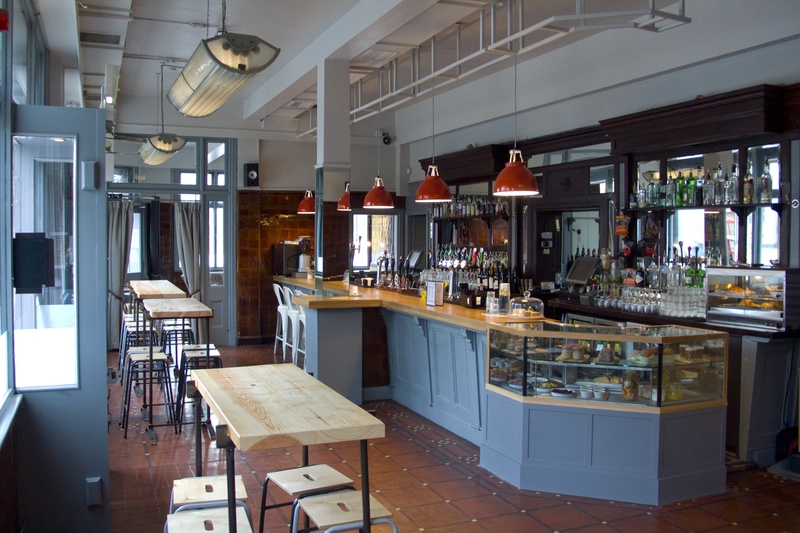 As such, the bar area features a beautifully streamlined deli counter with sumptuous looking pork pies, scotch eggs and potted duck and pickles. “People like to see what they’re eating and it encourages people to eat,” says Marc. There is also a limited selection of mains like burgers and lamb hot pots, in case one finds the gin going to her head. Ingredients are sourced as locally as possible from places like Smithfield market and organic vegetable growers in Kent. The decision to move away from the “gastro-pub” tag was also because the team didn’t personally like that style. “We decided it was the formality and, airs and graces that we didn’t like. 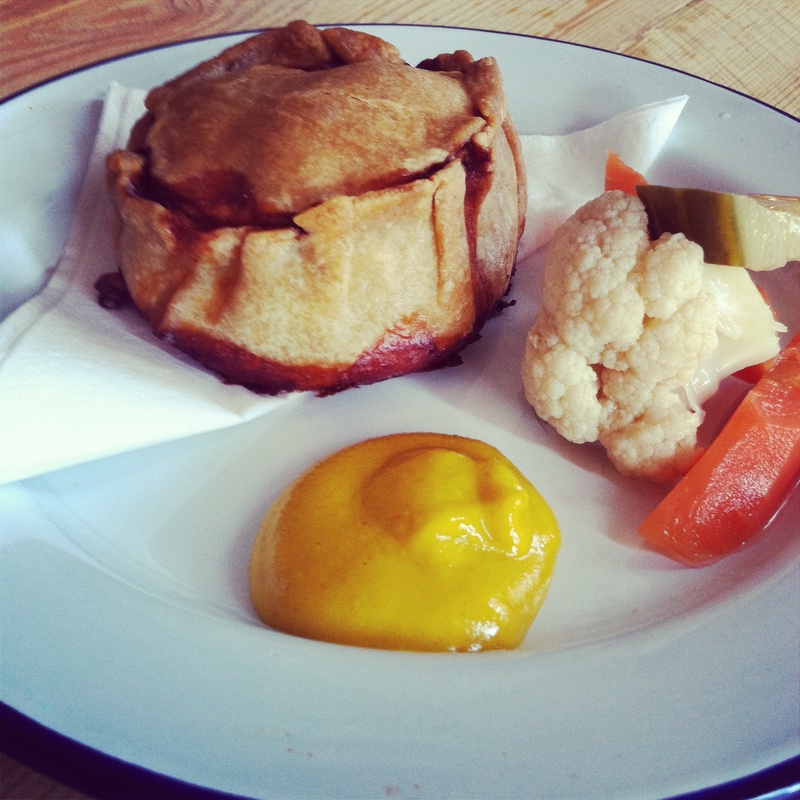 We love pub culture and find the idea of a ‘gastro-pub’ detracts from that,” says Matt.